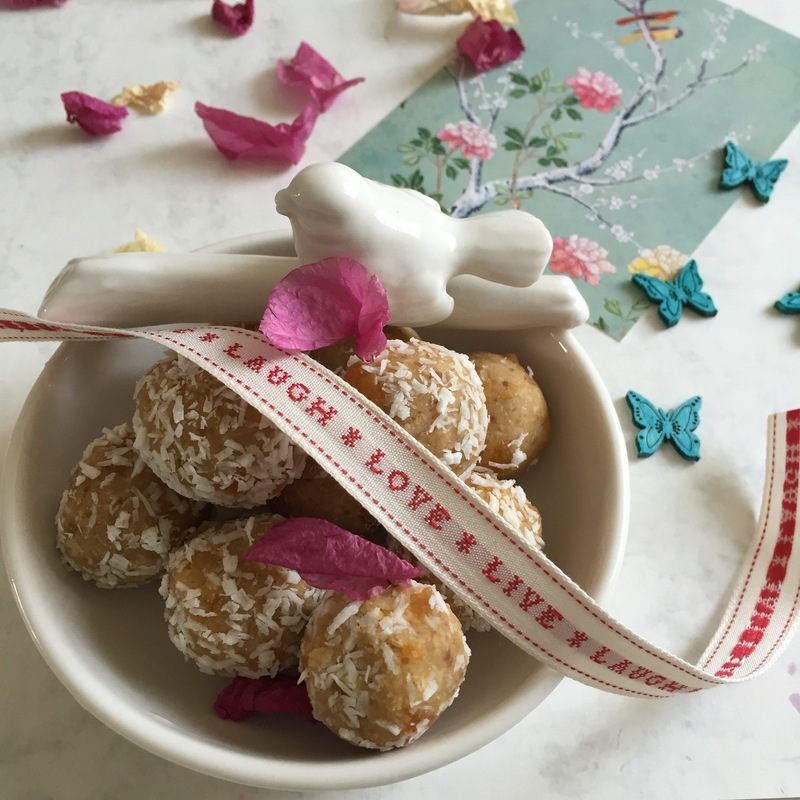 These coconut and apricot balls are just heavenly. They are creamy, sweet and soft with a bit of a crunch. I love the idea that they are so delicious and healthy at the same time. They are full of healthy fats from coconut, muscle building protein from almonds, and fibre from gluten free oats and apricots. I like to use apricots as they are very high in iron, potassium, fibre and antioxidants. These balls are sugar free, raw, gluten-free and vegan. I like to make them in batches and store them in an airtight container in the fridge. They will last at least a month if you don’t eat them all before. Roll out into balls and roll in shredded coconut.